Rally uses basic obedience moves to navigate a "course" laid out with signs. RALLY BEGINNERS: Rally uses basic obedience moves to navigate a "course" laid out with signs. The handlers/dog team will learn the Rally signs. These signs are just a combination of sits, downs, and heeling. Rally is a fun and exciting way to promote a positive working relationship between handler and dog while the chance to earn AKC titles. As always you can just take this class for a great night out with the dog! 1. What is Rally, briefly? Rally is the newest dog sport sweeping the nation! There are three levels of Rally that can be achieved, Rally Novice, Rally Advanced and Rally Excellent! As of January 1, 2005, these new AKC titles follow the end of your dog’s registered name, RN, RA, RE! Rally was created to promote a positive working relationship between the dog and its owner while achieving AKC Titles! Animation and enthusiasm throughout the performance is encouraged. Emphasis is on fun and excitement for the dog and handler, and the spectator, by providing a more “natural” and less stressful approach to performance. Each team is judged on the execution of a single, continuous performance of numbered exercises on a course, uninterrupted by orders from the judge. At the Judge’s command the team starts the course and follows each sign, performing the exercise then moving on to the next sign. Handler and dog should work together as a team and a loose leash should be maintained at all times. Harsh verbal or leash corrections are not allowed. Runs are timed, but are only used in the event of a tie, to decide the winner. 2. Can you talk to your dog during the exercises? Yes! The handler is encouraged to talk to the dog and use praise and body language throughout the performance. 3. Who can do Rally? Anyone with an AKC registered dog OR a dog that has obtained an AKC ILP* number. 4. Can “Beginners” do Rally? Absolutely! If your dog knows the basics: sit, down, go to heel, and walk nicely on the leash, you should give Rally a chance. Rally makes a great entry-level class for pet dog owners who have never considered competing and obtaining an AKC title, and also for those who want to compete but are not sure how to begin. The Rally Novice level is performed on leash, you are allowed to use hand and verbal cues, and you can continuously encourage your dog throughout the performance. Rally promotes a positive atmosphere in which you can continue your dog’s education while earning AKC titles! 5. Will Rally prepare my dog to compete in regular AKC Obedience? Again, Absolutely! 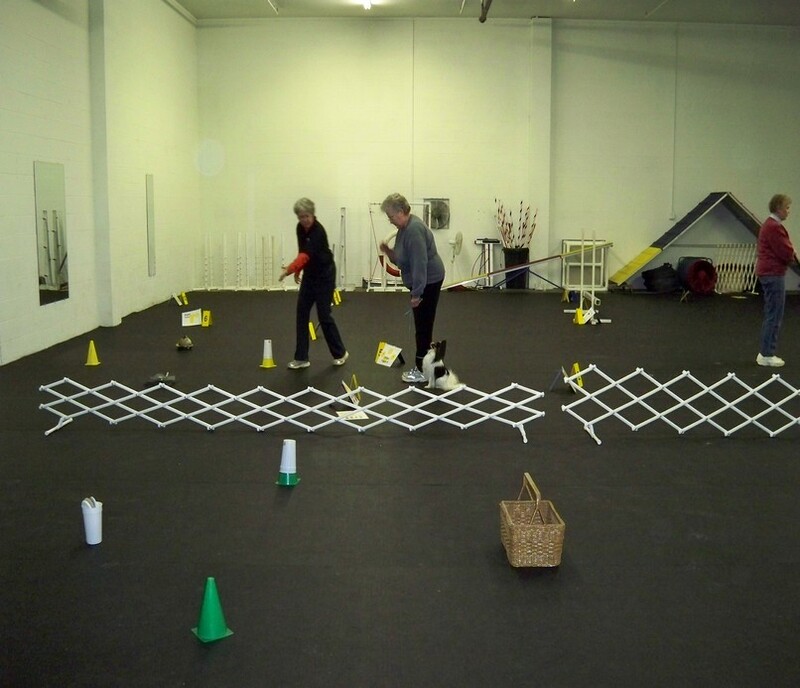 In Rally Novice, the team negotiates the course, heeling from sign to sign and performing 10 to 15 of the 31 exercises designed to provide foundation skills needed for AKC Novice Obedience exercises. Rally is a wonderful sport for dogs and handlers who experience “ring stress”, or, for whatever reasons would not yet be successful in traditional obedience. Rally training offers a unique opportunity to have fun with your dog, while building a foundation of impressive skills. This makes it a great place to work through your ring nerves, build self-confidence in yourself and your dog, and experience success in the ring! 6. I already compete in AKC Obedience, is Rally too simple for me? NO!!! Don’t be fooled! Rally can still be a challenge; some of the exercises appear so basic that without knowing the pitfalls, you can lose points or NQ even with the simplicity. 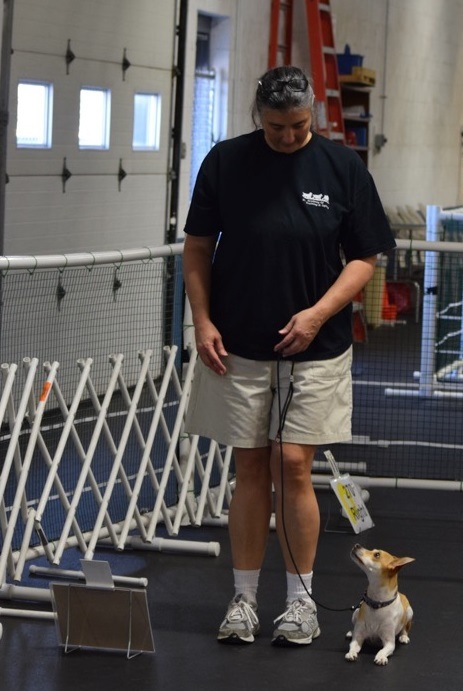 Other exercises (in Advanced and Excellent levels) are more complex, and again offer foundation exercises for AKC Open and Utility Level Obedience.